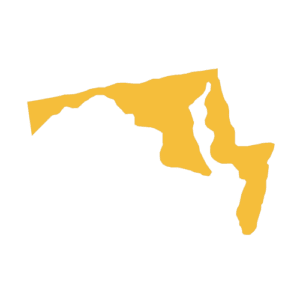 Contractors Insurance in Washington D.C.
It’s interesting that Washington D.C. does not require General Contractors to be licensed, but all subcontractors must be licensed even if their General Contractor happens to be licensed. 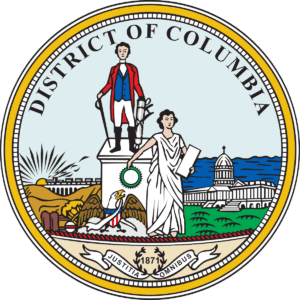 Out-of-state businesses are allowed to operate in D.C. as longs as they have a registered agent that is a resident of the District. To find out more from the Department of Consumer and Regulatory Affairs (DCRA) or the Board of Industrial Trades, simply click the links. Certainly, being properly licensed in any state does not reduce your risk of legal actions filed by a third-party, only a comprehensive commercial insurance program can do that. The purpose for a comprehensive commercial insurance package is to mitigate the company’s risk of doing business. This means that is you or an employee injury someone or someone’s property as a result of your business operations, your insurance company can step in and defend you or pay settlement costs and awards by the court. When you have a commercial insurance package in place, you are transferring your financial risk to the insurance company. General and specialty contractors have the same risks and legal obligations exposures as larger firms. They can be sued for damaging client property, causing bodily harm, or advertising injury. General liability insurance helps cover legal fees and damages resulting from a lawsuit. Many insurance companies will also have various riders that you can add to your policy in order to broaden your coverage and reduce your risks. Although workers compensation is generally required in every state when a contractor has at least one employee, most contractors don’t realize if an employee has a work-related injury or illness, unless there is a workers’ comp policy in place, the contractor will be held responsible for the medical costs and wage loss of their employee. The District uses NCCI manual rules. Most contracting businesses make use of light trucks, cargo vans, and heavy duty trucks at the jobsite. It’s important that every contractor purchase commercial auto insurance rather than personal auto insurance to properly protect these vehicles and protect the business from liability claims. Even if you have a single pickup trump registered in the owner’s name, commercial auto insurance is the policy to purchase. Tools and equipment coverage is known as Inland Marine Insurance, and it's designed to protect your high-value, movable property. When you take your tools and other equipment with you to the project site, inland marine insurance protects your hard working assets from all-too-common risks, such as damage and theft. License Bonds and Permit Bonds are regularly needed by Contractors. Since surety claims are not caused by accidents, but rather, a failure to complete a project according to the terms of a contract, ultimately the surety has a responsibility to the oblige (customer) to “prequalify” the contractor or builder for the work.